Check this out, we got it! Here we go finally I will begin clearing and start construction of the UHGC. Pre construction Membership dues will be accepted within a week or two. Our first member has chosen to take the pre construction life time membership @ $4,500. Information will be on our website with more options for pre construction membership. Good news we have dropped off our plans to the building department for permits. We also just submitted our final site plan for approval to the Zoning department. We have made it over the final hill and now only have a few bumps hopefully to deal with. One of the bumps is that the Monroe fire department recommends that a fire hydrant be within 500’ of any commercial building. Monroe’s closest hydrant is about 800’from our building. The fire department recommends us to place a new hydrant on the west side of the new bridge. There are 2 other commercial businesses besides our on the east side of the bridge. Why should we have to pay for the hydrant by ourselves, shouldn’t it be a three way split? Not a big deal this is just one of those bumps. 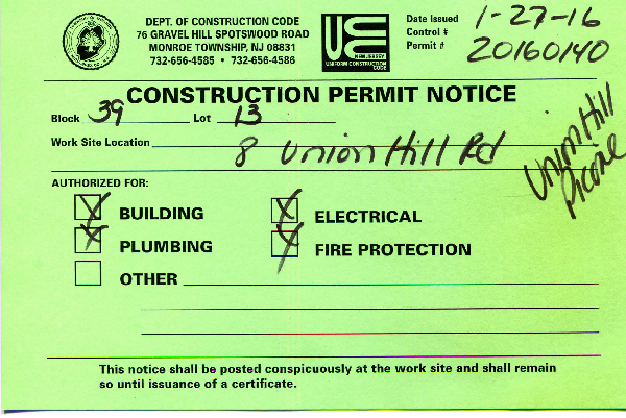 Once we receive a building permit we will start the process of the pre construction membership. We have lots of emails requests for pre construction membership and we will contact you all and post it on our website. We will keep you posted on our progress thanks for all your patients. We’re back sorry for the delay in providing updated information on the Range. Here is the latest and greatest. We have retained our third Engineer, Dynamic Engineering to complete the 1 ¼ acre site plan. Our building permits are in the process of being reviewed. Monroe twp zoning and building dept has been very good to us. Monroe’s outside Engineer Center State has been tough but correct, as to my old Professionals delaying the project. We have learned a lot and are moving forward. 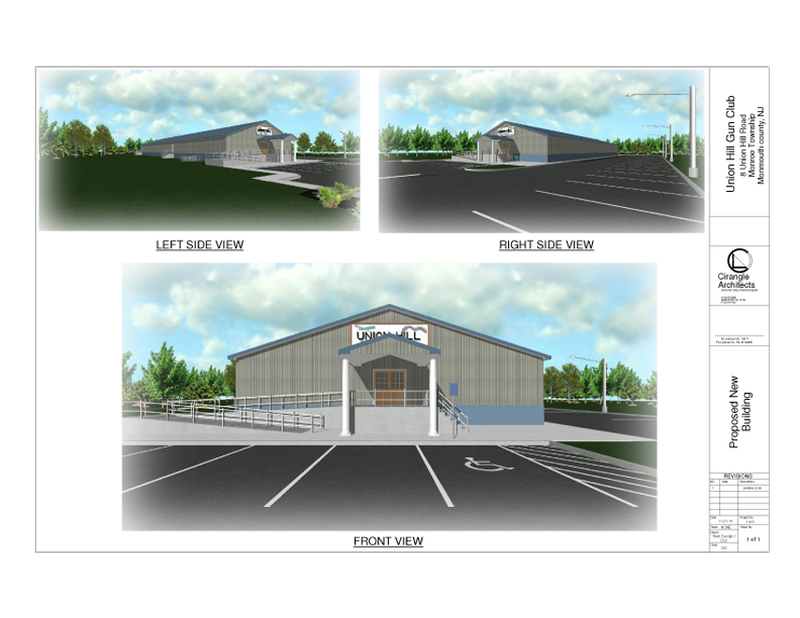 We are hoping to break ground within the next month or so and also start taking Pre construction membership. We have received email requests from thousands of people requesting Pre construction membership which will be limited. If you have already emailed us a request to be put on the list you are good. We can’t wait to meet all of you and will keep you posted on our progress. If you have any questions that are not answered on our website please feel free to email us. We are back with some good news: We finally got our Final Approvals! We will be dropping off our plans for the building department to review next week. The zoning department has 30 days to process our paperwork and then there is another 45 day waiting period. This time frame is ok because we still have a few loose ends to tie up on our end. When I get the building permits, I will work from dawn to dusk 7 days a week until it’s complete. Thank you all for being patient, I know it will be well worth it for everyone. I am back and here’s the latest and greatest. We fired our Engineer FWH to sum that up in one word: Incompetent. We have retained Midstate Engineering to complete this project, he is a shooter! Hope to have a final on the site in March. Architectural drawings are at 95% complete. Once I have a building permit, me being the builder and owner I will work dawn to dusk 7 days a week to complete this project. The town of Monroe has been very good to us. The town Engineer has pointed out a lot of good things to me. Dynamic engineering whose information is on this website: http://dynamicec.com/ has been very helpful to me and is a company who cares. Remember members and family first. On Nov 25th we received our preliminary site approval. We could have had our final approval except for the fact that no one knew that a road widening was required for this project. A bridge replacement on Union hill rd on the south west corner of our property was completed in 2013 by the County which included 400 l.f. of curb and sidewalk in front of our property. Home run I thought; come to find out that tax payers paid to put it in and I have to pay to rip it out and replace it after I widen the road, total waste of money. Little did I know that the County didn’t have to comply with the master plan. The game goes on, but we will win. I’m looking forward to working with our partner Legend Firearms. His superior knowledge and guidance made all this a reality. Cirangle Architects is on the case and the drawings are almost complete for a building permit (see below). This is my last project, I’ve never shot in an indoor range and I can’t wait to shoot my first bullet in my indoor range. We will keep you posted and hope you all have a Happy Holiday. 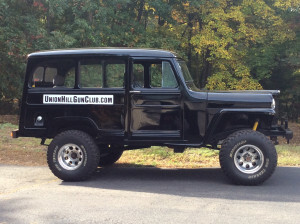 This is the first update after starting the UHGC website and almost two years since I thought of the club. I never knew that it takes 10 months to draw 12 pages of drawings for our site plan. When someone forgets 1 detail your zoning meeting is moved back 7 weeks. I am really pissed off and can’t do anything about it. The more I complain the slower it seems they go. We go for our preliminary and final site plan meeting on November 25th 2014, Architectural drawing almost complete. The UHGC is REAL! This club will be for members and their families! I built my first clubhouse in 1974, this one will be the BEST and BIGGEST! 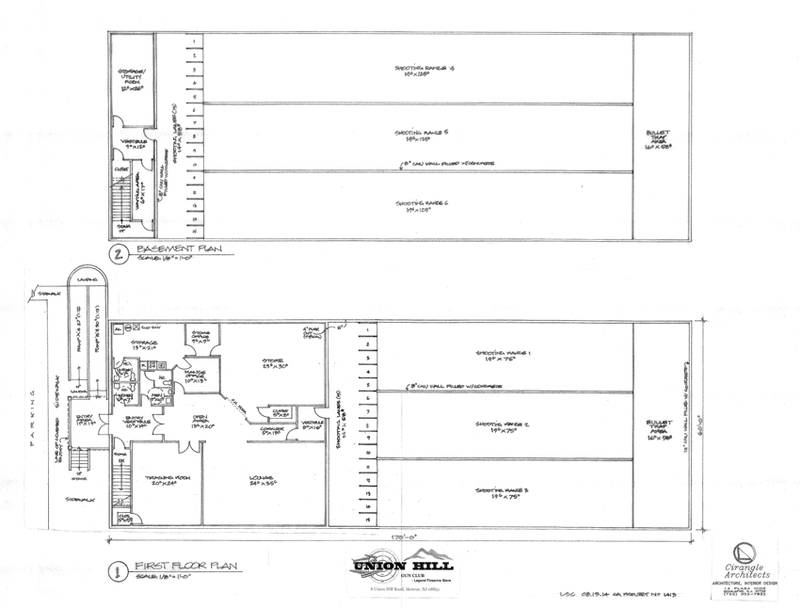 On October 29th, 2013 the Monroe Zoning Board of Adjustments approved a “Use Variance” for the property at 8 Union Hill Road, Monroe, for the erection of a 30-lane gun club. It will be a private club (members only) owned and operated by Paul & Beth Picone. The construction timeline is still unclear. We have our “Use Approval” and are still waiting for our Site Plan approval in order to begin construction. Once the board approves the Site Plan — hopefully in the next 2-4 months — construction can start. After we start construction it will take about six months to complete. — Fifteen lanes @ 45 yards. The club will have a classroom for NRA-trained instructors to teach a wide variety of classes, such as CCW classes for Florida and several other states. Powered by AJ Projections and Theme created by AJ Graphics Design.